Koyorad is proud to introduce part# VH081226. This is a new and improved all aluminum performance radiator for the Honda AP1 and AP2 S2000 (replacing Koyorad part# R2344). Koyorad is always making improvements to their products and have revised their 53mm thick standard core version with the new 36mm "Hyper" core. The revised core has an increased fin and tube count for improved heat dissipation. This decrease in core thickness reduces overall weight while increasing air circulation and engine bay space. Koyorad has also integrated a female 1/8 PT port (supplied with a threaded plug) which accepts temperature sensors typically included with aftermarket temperature gauges. 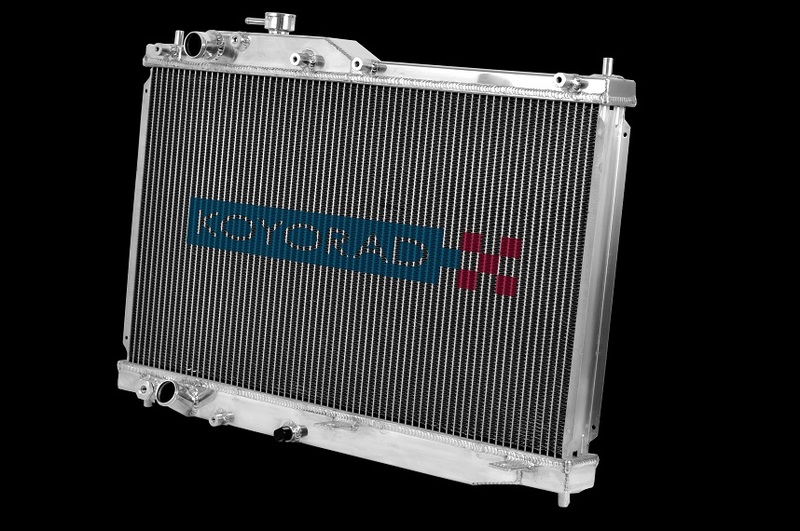 Koyorad designs and manufactures each radiator with precision, offering a direct-fit performance replacement for a quick and simple installation.